LA Muscle REPO Review | Buy or a Scam? Insane, extreme… is this a good way to advertise a workout supplement? The people at LA Muscle obviously think so, because these are the so-called benefits of REPO, a pre-workout supplement high in amino acids that you can also use during and after your workout. We take a look at LA Muscle REPO to find out whether this supplement is worth a try. LA Muscle is a British company based in London. You can visit the store in person, or buy the wide range of supplements from the company website or other retail outlets. LA Muscle has an upmarket image and looks to be a reputable and popular company. LA Muscle Repo is advertised as a pre-workout supplement that can also be used during or after your workout. It comes in one flavour; strawberry kiwi, which has been described as both delicious and as smelling like a fart in a box, so we guess whether you like it will depend upon your own tastes! This powdered supplement contains a good formula of BCAAs and other amino acids, so it should work as described however the serving size of these is rather low. Experienced users may be disappointed in the low strength, especially as it is described as being “insane” and “extreme” and is expensive. What Are The Side Effects Of LA Muscle REPO? LA Muscle Repo looks pretty safe for most users. 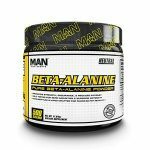 You may experience the Beta Alanine tingle, a condition called paraesthesia which is a common side effect to this amino acid. Side effects to BCAA supplements may include fatigue or loss of coordination. Glutamine can cause vomiting and nausea, stomach pains, headaches, muscular pain, skin irritation, and allergic reaction. How Much Does LA Muscle REPO Cost? All LA Muscle supplements seem expensive compared to similar products on the market, and REPO is no exception. Buy directly from the LA Muscle website and it costs £39.99 for a 450g tub of 45 servings. Orders under £50.00 cost an additional £4.99 for UK delivery. 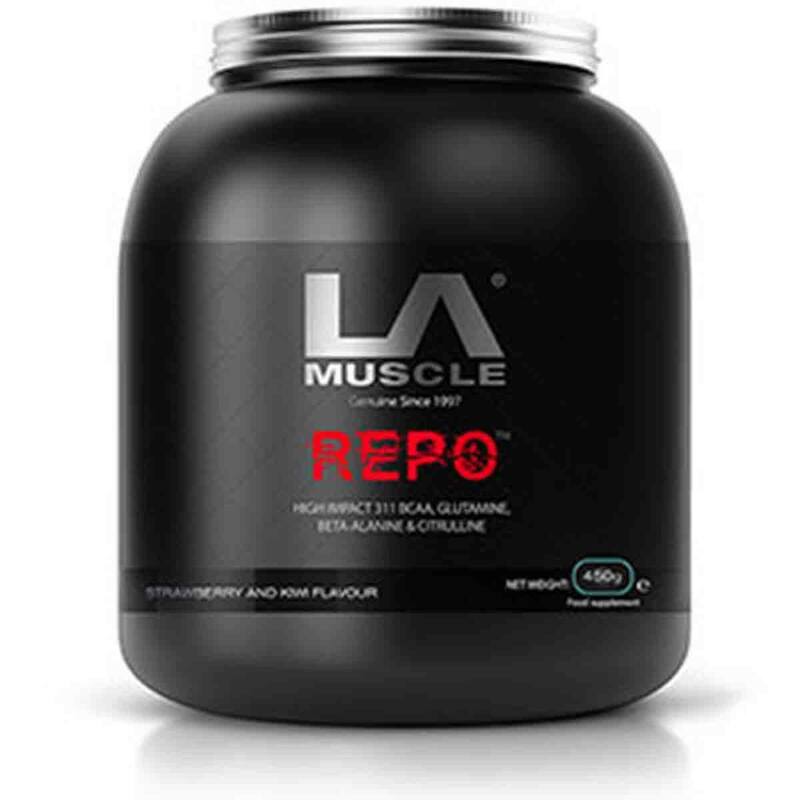 LA Muscle REPO is on sale from Amazon UK for the same price as the official website. You can also find it on sale via Amazon USA where it costs $55.00 for a tub of 45 servings. LA Muscle REPO looks OK as a pre/post workout supplement but in our opinion, it is a little overpriced. The formula contains some good ingredients, but is slightly underpowered and we feel that it does not provide very good value for money. LA Muscle does appear to be a high-quality British company with a good reputation, but the downside is that in general, their supplements do seem overpriced. That said, we think that REPO could be a great choice for people new to pre-workout supplements because it does look safe and the company is well known and reputable, so offers some assurance. However, in our opinion, this does not make it good enough to recommend to the Watchdog readers. Overall, we do not recommend LA Muscle REPO to our readers. LA Muscle REPO is a pre-workout powder that you add to water in order to make a strawberry and kiwi flavoured drink. 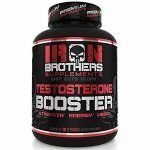 It contains a blend of amino acids, including Branched Chain Amino Acids (BCAAs) plus Glutamine, Beta Alanine, and L Citrulline Malate. 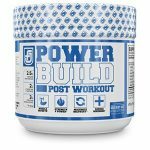 According to the product information, this is a revolutionary compound but in truth, it looks very similar to many other pre-workouts on the market. Taking amino acids in supplement form is important for bodybuilders who are focused on building muscle and strength because they do provide necessary support in addition to a protein-rich diet. Amino acids are often referred to as the building blocks of protein. They link together to form proteins and they influence how these proteins are used in the body for many functions such as immunity, building muscles, maintaining muscles and internal organs, and cell messaging. Glutamine is also important. Glutamine present in the body – it is the body’s most abundant amino acid where it is used by the body as needed, especially when the body needs to repair itself such as following a workout or after an injury. Beta Alanine and L Citrulline Malate are beneficial for exercise performance and recovery. There is strong evidence that improving carnosine levels via supplementing with Beta Alanine can help improve athletic performance and endurance. L Citrulline Malate can increase nitric oxide levels and because this helps widen veins and arteries, blood flow is improved which causes increased stamina. Overall LA Muscle REPO looks like an effective formula that should be work for some people. Check out the ingredients tab for further details and ingredient quantities. There is a money-back guarantee offered, but will LA Muscle really stick by this if you don’t like the supplement? Seems overpriced yet ingredient quantities seem low. Does this supplement really offer good value for money? The LA Muscle company sounds as if it is located in the Los Angeles USA but despite the name is actually based in London. The company has an upmarket and glossy image and is popular with customers. The LA Muscle Facebook page, for example, has over half a million followers and you can buy LA Muscle supplements from a range of outlets, online, and in physical stores. 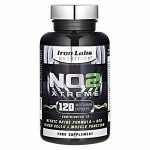 Other supplements include LA Muscle Bloat No More, LA Muscle Norateen EXTREME, and LA Muscle Limitless. 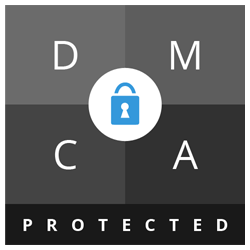 What Does LA Muscle REPO Claim To Do? Does LA Muscle REPO Work? Muscle REPO looks a little underpowered despite the hype. Although the amino acids here are well known to bodybuilders and side effects are unlikely, many of the individual servings are on the low side. There is nothing in this supplement that really could be classed insane or extreme, which is good. The downside is that it does not look adequate for many users. Of course, if you use it and are following a workout regime as well as eating a high protein diet, you may find it offers some support but it may be hard to tell the difference between using it and not using it. 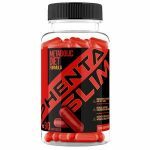 The advertising claims that this supplement is very different from other products on the market, but the truth is the formula is very similar to many others although not as strong as most. What Are The Ingredients of LA Muscle REPO? Serving size is equal to 1 x 10g scoop. Vitamin B6 (1.1mg): Here at 76% of the recommended daily allowance for this vitamin, although supplementation can be much higher (up to 100mg a day for adults). This vitamin helps the body store and use protein, and is important for the manufacture of haemoglobin. It is important for helping your body use energy and for mental energy. Low levels can cause fatigue. L-Valine (1g): Probably the least useful of the BCAAs and without much in the way of clinical testing in its own right, L Valine may have benefits that are, as yet, undiscovered, but overall it works in a similar way to Leucine but with a much weaker effect. L-Isoleucine (1g): As with all BCAAS, L Isoleucine induces glucose into muscle cells in order to help them build. It is stronger than Valine, but weaker than Leucine. L-Citrulline-Malate (0.5g): This means that this compound contains two parts L-citrulline, an amino acid made in the body with one part DL-malic acid, an organic compound in fruit. 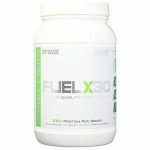 Research suggests that this is effective for boosting energy and performance. L Citrulline is an amino acid that is made in the body where it is changed to arginine and also nitric oxide, so improves blood flow. Malic acid is important in the body for converting food to energy. L Citrulline DL-Malate 2:1 is an effective formula but serving size here is very low. In general, it is considered that 6g is effective per serving so with only 500mg contained in REPO, this part of the formula is underpowered. Does LA Muscle REPO Have Any Side Effects? One of the best-known side effects to anything containing Beta Alanine is paraesthesia, a tingling sensation in face, neck, and hands, which usually wears off within around 90 minutes and is not dangerous. Not suitable for individuals under 18. Avoid if you are pregnant or breast feeding. Speak to your doctor first if you have an underlying medical condition or are taking prescription medication. Are There Any Customer Reviews For LA Muscle REPO? There is some independent feedback for REPO on Amazon UK. Some customers like it and feel that it works. Ideal for post workout. Refreshing as well as being packed with amino acids. -to make the most u have to take a bit mid gym session -you do feel a bit hot just after you take it and tingles a bit. I opened this up expecting to be delighted with a smell of strawberry but it smelt like a fart contained in a box. I worried that it was going to taste like this too. Surprised that when i mixed it tasted not too bad, it was quite enjoyable. But once you drink quite a lot of it especially during your workout the sweetness can make you feel sick. It did with me. I was craving just plain water. I take this during and post workout…….tastes great and helps keep the pump!! !…….you won’t be disappointed! Does LA Muscle REPO Offer a Money-Back Guarantee? There is a 30-day guarantee. Here’s what the company has to say about it. Where Can I Buy LA Muscle REPO? You can buy LA Muscle REPO direct from the official LA Muscle website or shop. LA Muscle are happy to ship internationally, so this supplement is available to customers outside the UK. 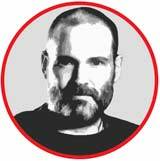 It is available from a range of independent supplement retailers in the UK including Amazon and eBay. It is also on sale via Amazon USA. The Muscle Watchdog does not recommend LA Muscle REPO.